Food security exists when all people have physical and economical access to sufficient, safe and nutritious food to meet their dietary needs and lead a nutritious life at all times. This alludes to the dietary needs of all the members of the household met throughout the year which underlines the importance of the entitlement to produce and procure food. In 1983, FAO expanded its concept to include securing access of vulnerable people to available supplies, implying that attention should be balanced between demand and supply side. Initially there was a focus on food supply problems, ensuring its avalibility and to some degree its price stability at national and international level. Food security issues and Nutrition are high on political agenda at the global regional and national level. Food Agriculture Organisation estimates almost 870 million people are undernourished with no means to produce sufficient food for themselves. World population is projected to rise to more than 9 billion by 2050. FAO estimates that overall global agricultural production needs to expand by about 60% to meet global food requirements. The food era of cheap food has came to an end and scarcity, high cost and more extreme price fluctuations are affecting many developing countries. Technological improvements and better agricultural food policies are needed along with scalable innovations and community development. A central hypothesis of the Agricultural and food security (APS) Program is consistent with developing experience that small scale agriculture is the key factor in poverty reduction and food security. Thus the Program will support research to help small scale farmers to become more productive, profitable and resilient. Research is required not only to identify on farm production opportunities but also to look beyond farmers to the markets and value chains that link producers to consumers including information and communication technologies . The 2008 food price increase highlighted again interrelation between poverty and food insecurity. Food insecurity manifests itself in three ways. Acute crisis and at worst, famines such as these are the most dramatic form. Almost always temporary, food crisis can affect large numbers of people who are not noramlly hungry, but who are generally poor and vulnerable to shocks, both natural, such as droughts, and human as in case of awar or sudden increase in the price of food. Chronic or persistent under-nutritioin affects hundreds of millions of people who are essentially too poor to be able to eat sufficient food to satiate their calorie and protein needs. A third form of food insecurity is defeciency of micro-nutrients, principally iodine, iron and vitamin A owing to unvaried diets. As many as 2 milliion people may be affected. The ramifications are illness, disability and, for young children failure to develop fully. While most Americans spend less than 10 percent of their income on food, people in developing counteries may spend less than 50% to 60% of their incomes on food. When food price increase, the poor are hit the hardest and are most prone to go hungry. Firstly, population growth as the total population expands consequently a lot more food is needed to meet the growing dietary requirements of the masses. Secondly, growing urbanization and growing population is making food security even more challenging. Commercialization, where food crops are replaced by cash crops, due to the introduction of high technologies agriculture has becomes rich men oriented business thus poor framers fail to compete. Thirdly, Gender roles and discrimination such as involvement of women encapsulates around three dimensions such as food availability, accessibility and production. 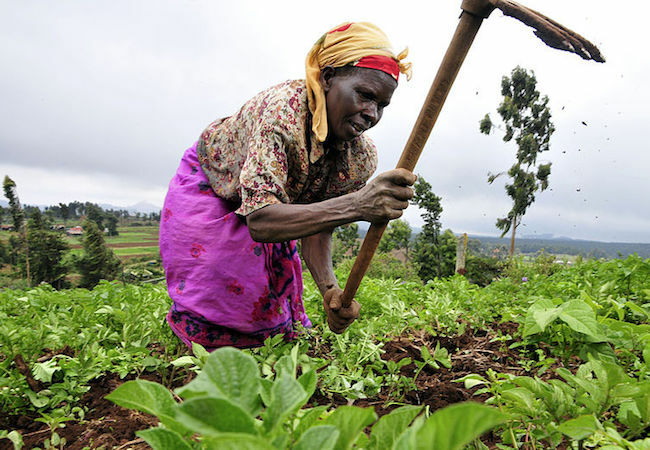 Introduction of high technologies in agriculture has threatened the involvement of women moreover women’s’ crucial role in food production and provision, strategies for sustainable food security must address their limited access to land and assets. Also, Constant degradation of land has also threatened the agricultural production, due to the usages of chemicals and industrial pollution natural disorders such as global warming and climatic changes has impact on food production. Moreover, poor planning – lack of vision and bad government – can lead to serious food shortages. Government has failed to protect people’s rights to produce, distribute and consume food, no real steps has been taken against the multinational controlled food sector. Involvement of food politics has exacerbated the situation further, such as food remained available in one corner while in the other sector people were allowed to die in hunger not only this many times media reported that surplus of food was exported to other countries despite food insecurity prevailing in country. According to the UN, 184 children will die each day in Northeastern Nigeria in 2016 due to causes related to acute malnutrition. Hence, the government and international communities bear responsibilities to acknowledge the scale of humanitarian emergency and put resources in place to address this chronically underfunded crisis-Before it’s too late. The security and infrastructure is not yet in place for recovery and needs attention. The situation of food crisis is alarming and needs to be addressed, there is a need to shift focus from food production to its distribution as only mark difference will be seen.